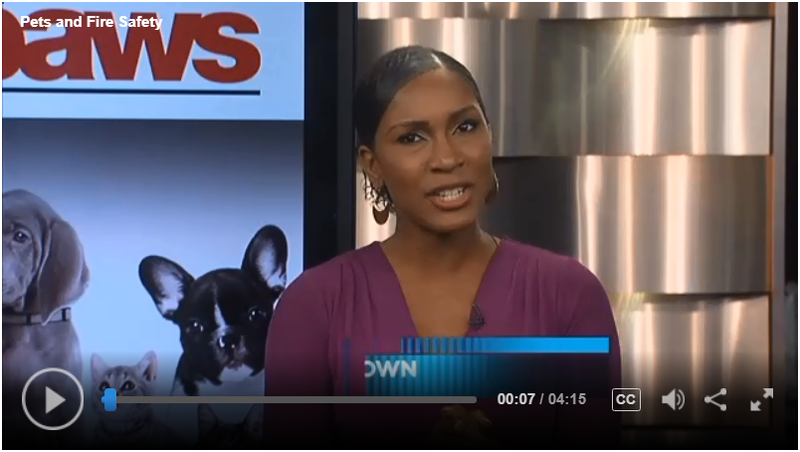 April 18, 2019 - Do you know what to do if your pet is choking? 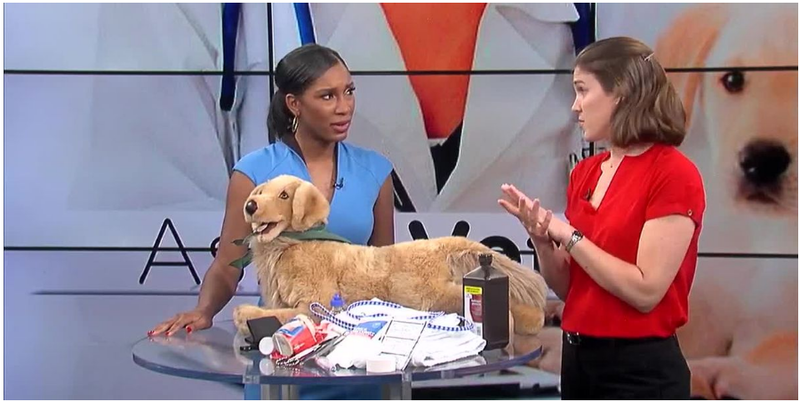 Dr. Krumanaker goes over the essential pet first aid kit and teaches Anchor Jessica Brown how to do the pet Heimlich maneuver. Read more. March 20, 2019: Teeth and icebergs - both are hiding plenty of possible nastiness under the surface. Anchor Dan Wells and Dr. Krumanaker talk teeth - and you can read more here. 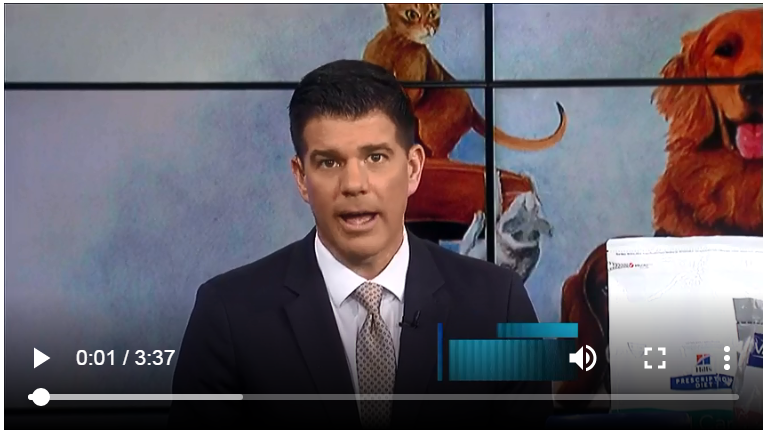 February 21, 2019: Cincinnati topped the list last month in fastest heartworm disease growth. Not exactly the competition we wanted to win. Is your pet at risk? Click here for more info. January 24, 2019: Brr, it's cold outside. Keep your pets safe but active this winter with these tips. December 20, 2018: Santa's made his list and checked it twice - here's what's Naughty and Nice for our pets! For more pet gift ideas, click here. November 21, 2018: Did you know that pets can get diabetes too? 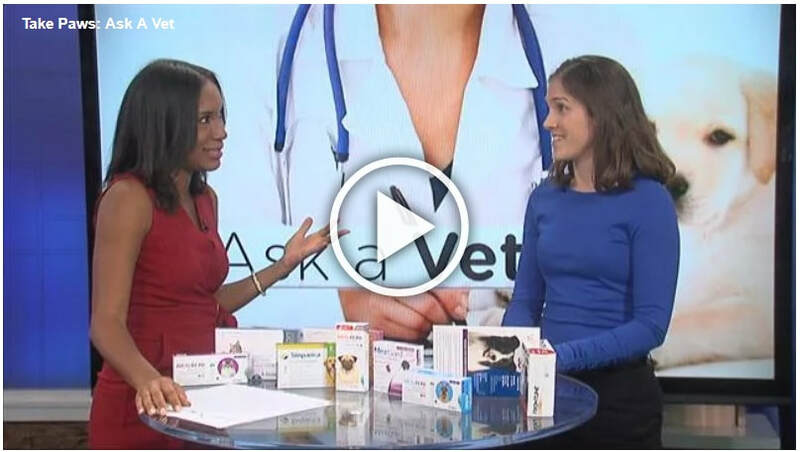 Dr. Krumanaker and Anchor Jessica Brown give you the details to diagnose and treat your dog or cat. Read more. October 24, 2018: Share your pumpkins with your pets! Here are some fun ways your furry, feathered, and clawed critters can get into the Halloween spirit. Read more. September 20, 2018: Did you know that 1 in 3 cats will develop kidney disease? While we can't reverse the damage, early intervention can add good years to your cat's life. Read more. August 30, 2018: 8-10 million dogs and cats stray every year in the United States, and less than half of them will find their way home. Improve your pet's chances of being reunited by microchipping - and keep your contact information up to date! Read more. July 19, 2018: Pets cause almost 1000 home fires in the United States each year. Here's what to do to keep your home and pets fire safe. Read more. June 28, 2018: Fireworks and thunderstorms can be scary for our pets. Provide safe hiding places and use calming aids to keep them safe this summer. For very anxious pets, call your veterinarian for stronger medication. Read more. May 24, 2018: It's hot outside - please remember to NEVER EVER leave your pet (or child) unattended in a car. 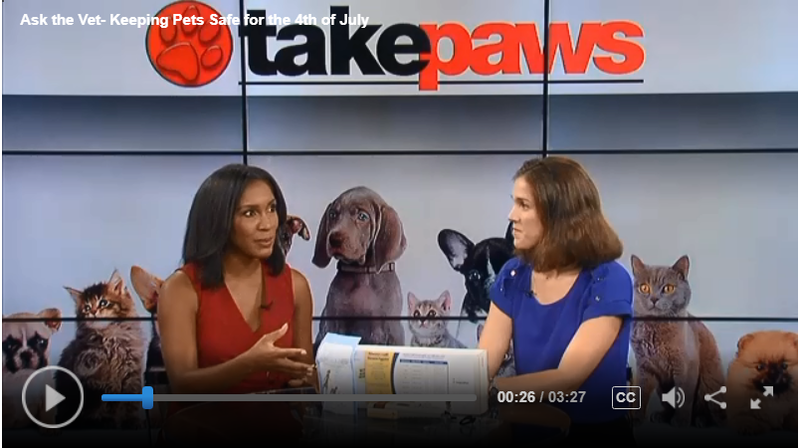 To keep your pets safe in the summer heat, watch and read more. 4/26/18: Spring is finally here - but that means flea and tick season starts in earnest. Avoid the parasites and diseases they carry by treating your dog and cat with one of the many safe and effective prevention options. Read more. 3/22/18 - Easter is around the corner, so here are a couple reminders to keep the furry family safe. True lilies are incredibly poisonous to cats, so my advice is to keep them out of the house entirely. Keep the plastic grass and the chocolate out of reach for a happy holiday. Read more. 2/22/18 - February is Pet Dental Health Month! Here's how to take care of those pearly whites at home. Yes, they really do need care every day. But the good news is that if you skip brushing, you can give a VOHC-approved chew or healthymouth in the drinking water and still make a difference. Read more. 1/18/18: Brr, it's cold outside! Here's how to keep pets safe during these winter months. Read more. 11/30/2017 - What to do if your pet has a seizure - and read more here. 10/29/2017: What to do when your pet has diarrhea (yuck). For more information, check out the blog. 9/28/17 How do you know how much to feed your dog or cat? Here's a simple test you can do at home to see if your pet is underweight, overweight, or ideal. Grab your furry friend and follow along with Dr. Krumanaker, then check out the blog for the diagram! We vets aren't mind-readers (we wish) - here's what to ask your vet during the wellness exam so your pets get all the care they need. What do you do when your cat pees outside the litterbox? Here are some tips on how to prevent that frustrating event, and some medical issues that could be behind those accidents. The dog flu is headed our way - make sure your pup is vaccinated against the new H3N2 strain, or, better yet, with the bivalent vaccine that gets both kinds of flu. 7/21/17 update: Ohio now ranks #3 in the country for most cases of dog flu, and some deaths are reported in the Cleveland area. Please make sure your pup is protected. 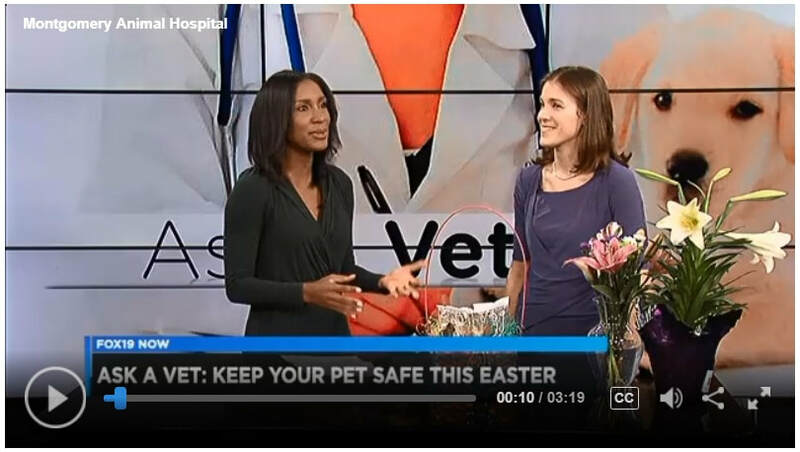 What to do with your pets while you travel - Anchor Dan Wells and Dr. Krumanaker discuss the options for safe pet care. Ticks are taking over this year - so here's how to keep your furry family safe. Remember, if you do find a tick on your pet, grab it as close to the skin as possible with a pair of tweezers and pull it straight out, then save it in a sealed bag for later. What do you have laying around your house? 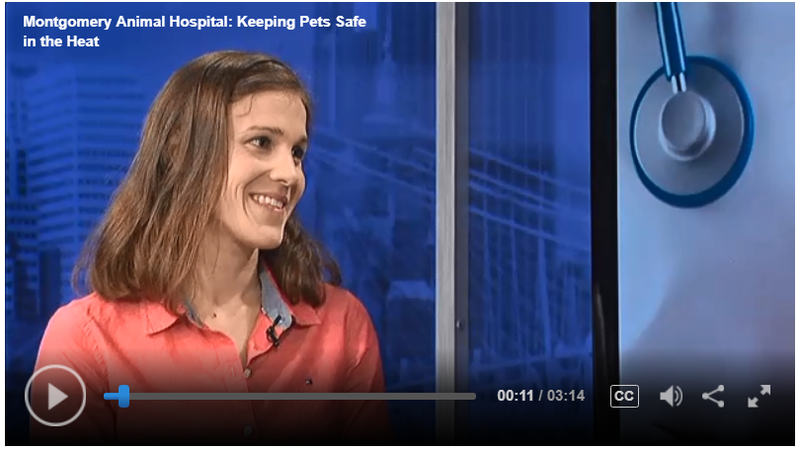 Dr. Krumanaker talks about some of the common items we need to keep out of reach of our pets. Natural? Holistic? Grain-free? 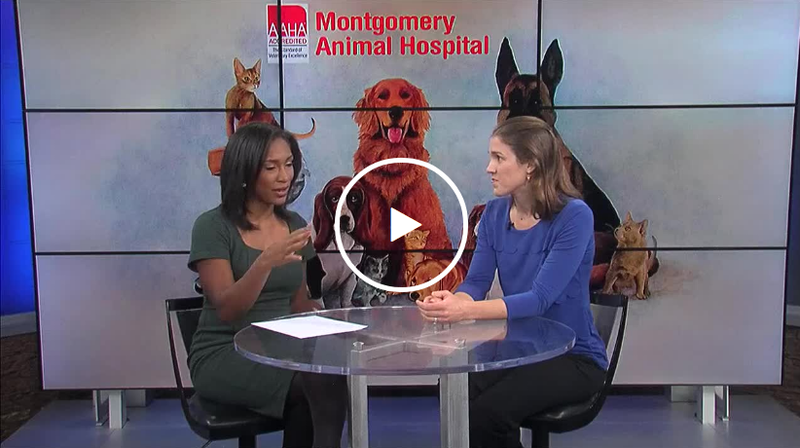 Dr. Krumanaker and Anchor Kara Sewell explained the real meaning behind the buzzwords on our pet food bags. 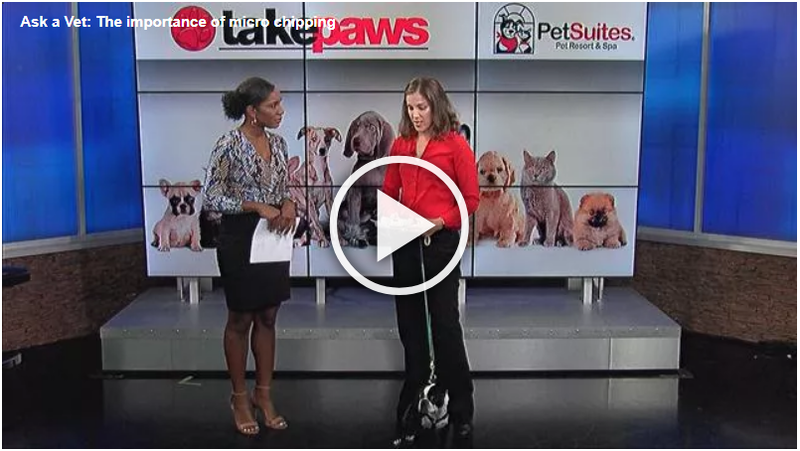 Fox 19 morning anchor Kara Sewell invited Dr. Krumanaker to demonstrate the benefits of laser therapy on her adorable pomeranian Bailey.